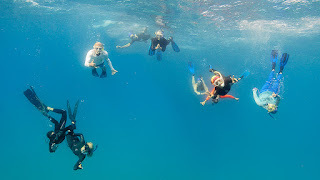 Maui's Mermaids were greeted by a large pod of Spinner Dolphins this morning. 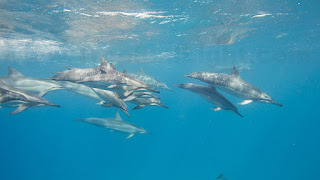 The dolphins repeatedly swam up to our group, then swam away, only to return time after time. What an amazing experience. Click HERE for more photographs from today's ocean swim.